A nice selection of multi-coloured Harlequin Ladybirds (#124) coming out in the afternoon sun to look for a place to hibernate. 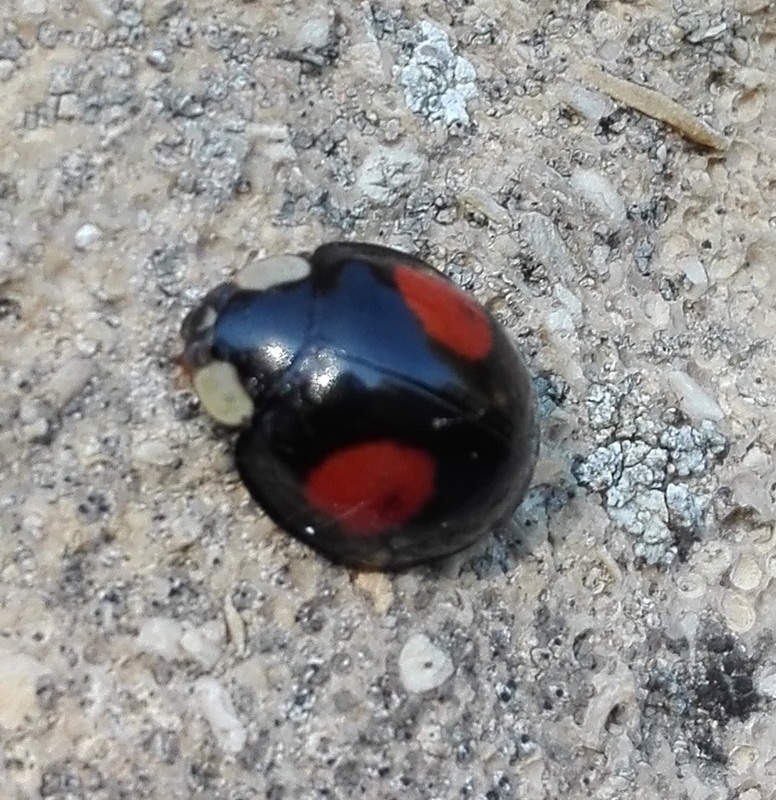 Amazing that these Asian Ladybirds only got established in UK in 2004, because they are now all over the place, and in numbers. Among the ladybirds, a Scentless Plant Bug (Stictopleurus punctatonervosus), species #357 for the list. This grassland species is also a fairly recent arrival, this time from Central Europe. Starting out from the Thames Valley, it’s now spreading out across Southern England. 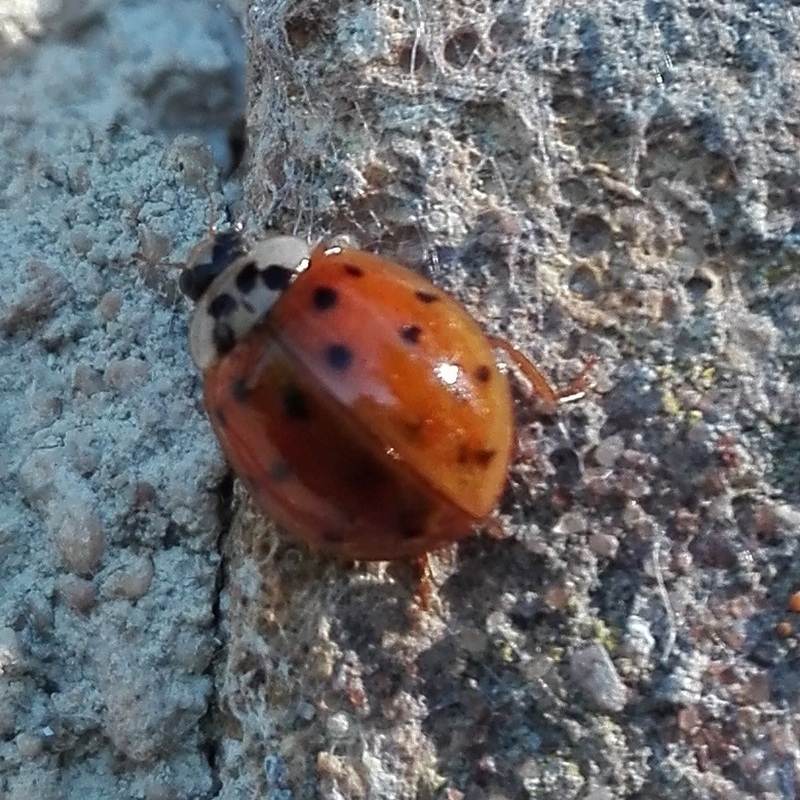 Passionate about nature, based in Gloucestershire UK; this site is about creating a wildlife friendly family garden and exploring the diversity of animal & plant species that share it with us. As a nature lover and wildlife gardener I started wondering about the biodiversity in my backyard and just how many species from plants to insects to birds to mammals live in or visit it. Much of the wildlife in my small, village garden has been present right under my nose for years without my really appreciating it, so on the way I am learning a lot about different species and how to make a wildlife-friendly environment for them; also getting engaged more in conservation activities around Gloucestershire, Worcestershire and the Cotswolds. My garden species tally started from zero on June 1st 2018, the target is 1000 species - let's see where it goes. I'm very interested in your comments & advice: whether it's about the blog, some help with identification or just how to make my own little Eden better for wildlife. So please leave a comment or drop me a line if you feel like it!